We’ve had a few support tickets through over the last couple of weeks about how compounding works, what is it, how it works and more importantly does it work. In today’s short article I’ll go through the mechanics of compounding and how best to use it. So in essence, compounding is a way to increase your betting bank at an accelerated rate. We start with a sum of money and then increase our stakes with our profits. There are two ways that we can do this. We start with a bank of £1,000 and have a 2% stake for each selection. This would mean £20 per bet. With this method, we always use 2% of the bank regardless of our position. Let’s say our first bet loses, our bank would stand at £980. Our next bet would now be £19.60 and so on. The other way and we’ve backed a 5/1 winner with our first bet. We would now be at £1,100. The next bet would be £22. There are a few variations on the above and some people will always stick to the original stake size whilst the bank is in the negative. When they start to hit a profit they then up the stakes accordingly. Method number 2 then, Interval compounding is my preferred method. Same as above we start with a £1,000 bank and stake 2%. We keep betting at 2% no matter what happens. When we have increased the bank by 20% we then compound this profit and up the stake in line with the bank. So, in this case, we would now have £1,200 having made 20% and the stakes would now be £24. We wait for another increase of 20% (on the original bank, so another £200) and then our stakes become £28. So basically with each interval of £200, you increase your stake by £4. There are many variations on the above but that should give you a good idea on how the main principles of the method work. For those of you that follow my weekly ramblings, you’ll know that I’m a big fan of patience and discipline. These two virtues need to be applied to our money management that I keep banging on about and needs to be enforced from the outset. One way we can instil this within ourselves is to save up for our betting bank. A friend of mine actually gave up betting and quit for a whole year while he saved up and worked on his portfolio. He’s now one of the most successful bettors out there. By showing you have the discipline to save money, not spend it and build up a bank will hold you in good stead for when you do go eventually live. It also means that once the bank is in place it won’t affect your monthly income. This in itself is also paramount to your success. One of the many pitfalls of betting is that people mix it with their monthly income and this adds more pressure. By having a separate bank you release the pressure of not having it attached to your current outgoings etc. By viewing that bank as a long-term investment and with a view to releasing profits from your investment you’ll be much better off. Even if you don’t have much money you could stick a tenner aside each month and after a year you would have £120. Following the advice in these articles and working out your stake size you would then be able to build that small bank up and by compounding the profits you’d be surprised at how it can build up. Your approach/system/tipster shows a strike rate of 25% from the paper trading you’ve done. In working out your stake size we know that a 25% strike rate would result in up to 24 consecutive losers. We multiply this by three to protect the bank and divide this number into our £120. That’s 24 x 3 = 72. Therefore £120 divided by 72 = £1.67 per bet. We now compound this so take the £170.10 and divide by the 72 = £2.36 is our new stake size. I appreciate that is a fairly simple example and betting can be more volatile but it serves to illustrate how effective compounding your bank can be. That £120 has turned into just over a £1000 in a year which is incredible. Were you to carry on with that for the next couple of years you would be making 10’s of thousands a year and all from £120. Have a look into it and think about how you could grow your bank even further. Once you’ve found that reliable method and worked on your bank sizes etc you can look into compounding your betting and grow your bank even bigger. If you like the idea of growing your bank in the way above you seriously need to check out the service below…. This week I’ve uploaded a brand new video that shows you how to find out if a tipster is right for you before subscribing to them. I’ve created a calculator at the bottom of the page that you can use after watching the video. Click on the link above to download your calculator and see if a tipster is right for you. As always if you have any questions let me know. I wanted to talk today about the concept of betting on-line and how we need to approach it differently to betting on course or in the shops. The problem with having money in a betting account on-line is it becomes almost unreal. It’s all very well seeing a balance that says £100 but it’s not really there in front of us and because we may lose an emotional attachment to it we may have the tendency to gamble it all away. If you walk into a shop on the other hand and you have £100 in your pocket, you may have two £20 bets but because you are going to the pub afterwards you’ll keep the £60 and move on. That’s because you have it there as a tangible source of cash. 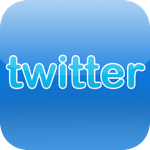 The mind-set is completely different when using an on-line account. This is where we need to, in order to make our betting more successful, reattach our emotional connection with our online betting account. When I first started out I used to, when I’d reached a certain goal of let’s say for example a £100 in profits, withdraw £15 and treat myself to a CD (it would be a download now!!). That way I had something tangible to show for my profits and it made me view my online balance in a different way. As my betting grew and I became more successful, that, something tangible would become a holiday! Nothing better than sitting in the sun after it’s been paid for by the bookies! So remember, when you’ve had a good winner and your balance increases, that is REAL money and you need to pull it out and treat yourself. It may only take a few times but you’ll be amazed at how much you’ll view your betting balance and treat it as real money. It’ll also stop you having the tendency to gamble your money and as a result, you’ll be utilizing one of the many useful skills it takes to be a profitable bettor. The SP (starting price) is the most accurate measure of a horses chance of winning the race. If it goes off at evens then it has a fifty-fifty chance of winning and so on. This is the case 90% of the time but what of the other? The other 10% is what is called smashing the SP and the bookies are behind it. The SP or starting price is effectively the result of people’s opinions expressed from their betting throughout the day and then finally at the course. The bookies have an opinion in the morning and they might think that a certain horse has a 10% chance of winning, therefore, it becomes a 9/1 shot. Remember that is just the opinion of one odds compiler and a pre-constructed odds line (or tissue in the trade) which is compiled the night before by another odds compiler. There are so many variables in horse racing he can’t possibly account for everything and as the day progresses new factors come into it, like the changing of the ground or a jockey change on another horse, etc etc. 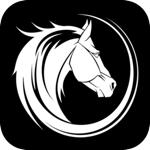 The money starts to come as 1000’s of different opinions, angles come for that horse and it becomes apparent that the horses chances are a lot higher than first thought and then they have to shorten their odds. There is a bit of a myth that when a gamble is going down its informed money going on, therefore, the horse is likely to win. Don’t get me wrong this does happen but a lot of the time it’s just a change in circumstances and with the age of the internet there are so many well-informed punters out there it doesn’t take long for the market to collapse. Anyway, that’s the SP, what of this smashing it? On the course, the SP is determined by between four to six on course bookies just before the off. An official will collate the average price available from these bookies just as the horses are set to go. Once the winner has been declared this is officially stamped by an official and then sent to all the shops, bookies head offices etc. Now what the big bookies do is when there is a large liability going down on a certain horse, for example, a multiple bet like the lucky 15 or a treble, they will need to lower the SP before the off so that they don’t have to pay out as much money. A punter in a shop has put a £10 treble on. First horse wins at 9/1. He’s got £100 going onto the next one which wins at 9/1 also. He’s now got a grand rolling onto the next horse. The punter hasn’t taken a price but the money’s rolling onto the favourite in the next. That favourite opens at 4/1 so at that price, the punter will stand to win £5,000. That’s a £4,990 loss to the bookie but of course, there is something they can do! The on-course rep for the bookie in question will now go round to all the main bookies in the ring having £200 bets (if it’s a weak market or maybe £500 in a strong market). 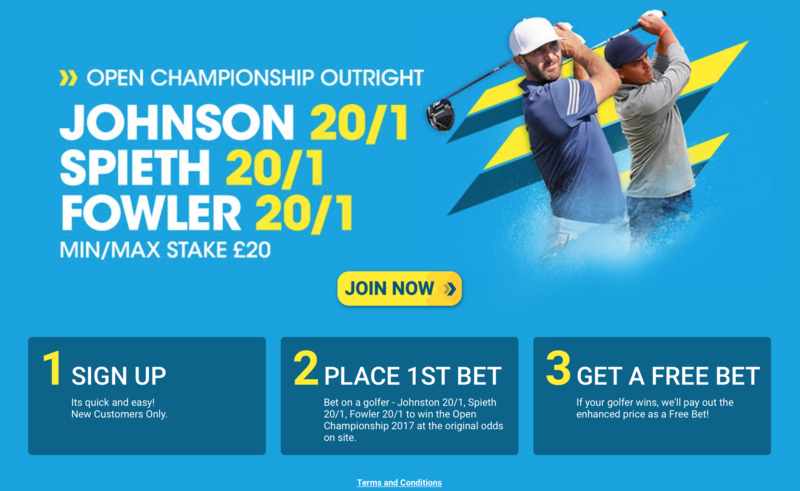 These £200 bets over several bookies mean the price will now go into 7/2, 3/1, 11/4. The horses leave the stalls or jump away and the bookies now only stand to lose £3,750 to that punter if the jolly wins. Of course, if it does they are collecting the money from the other bookies to go towards the punter’s winnings but if it losses they’ve only lost the money that other punters were having on the horse anyway. The moral of the above story is the bookies are clever in how they reduce their liabilities which is why you should always take a price. You can’t beat the SP if you don’t take a price!!! When you buy something, for example a car, you want to know that you’re getting value for money. One garage has your dream car for £15,000 but down the road another garage has the exact same car for £13,500 you would obviously buy it from the second garage. It is exactly the same when striking a bet. We need to get the best odds as possible as we would get the best price possible for the car! Learning about creating something called a tissue can be a very difficult thing to do but these tissues are a way of determining if we are getting value about our bets. When you look at the Racing Post in the morning and you see the SP forecast betting at the bottom of the card, this is basically an experts “tissue” and his opinion on how the market should be priced up. Understanding a tissue though requires an understanding of how odds translate into percentages. It’s not as difficult as you may think and we’ll run through an example now. Let’s take the price of 6/4. This equates to a 40% chance of the horse winning the race. We calculate the 40% by always dividing the left number of the fraction by the right hand number and then adding one. So 6 divided by 4 = 1.50 plus 1 = 2.5. We then divide 100 by the 2.50 and this gives us 40%. We add them all together and then divide them by 4 to find our average which would be 40.05%. We can be fairly sure now that our horse has a 40% chance of winning its race. We now have 40% about our selection so of course we want to find some value. We go over to the markets and find a bookie offering 13/8 about our fancy. You can now strike your bet as you’ve just “bought” your horses chance of winning the race for less than you have worked out it should be!! We believe it’s 40% but we can strike our bet at 38.10%. That’s finding value. If we can find a horse that we believe has a higher chance of winning than the market suggests then we are betting to value and will therefore make a profit on the long run. The football season is kicking off this month and we’re already coming into the second week of games. Whilst some of us might just like a flutter, others will be looking to make money from the beloved game. We’re here to help with offers galore from various bookies. Pick the ones you like and make your money go further this season…. 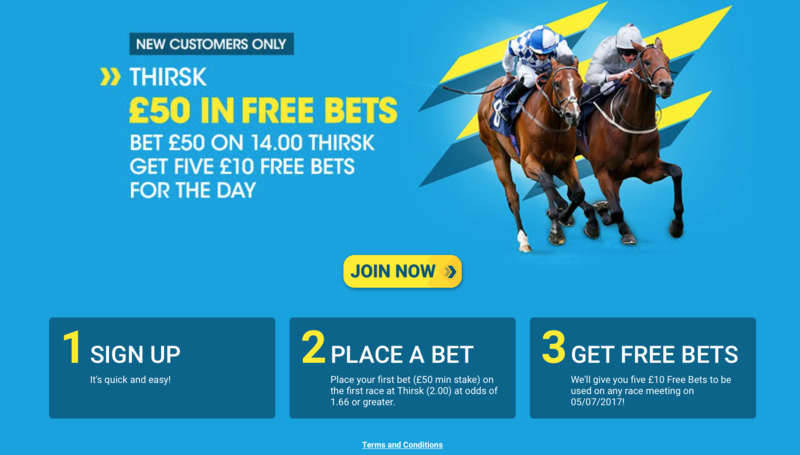 There’s a decent card at Thirsk, today and our first offer is a great way of making your money go further. 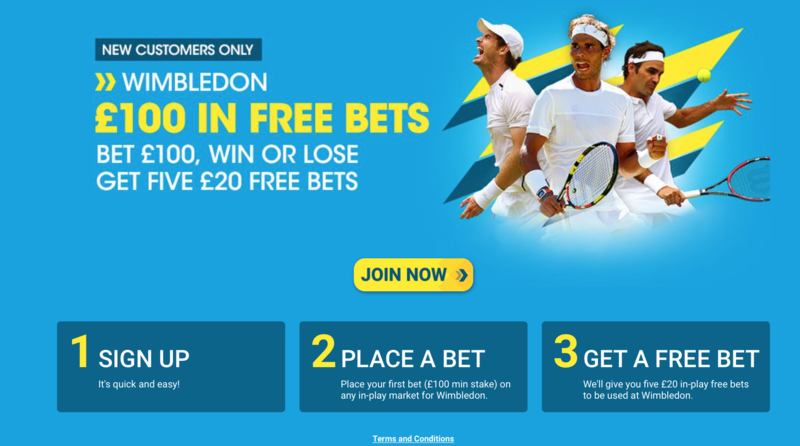 If horse racing’s not your thrill for today, then how about betting in-play at Wimbledon. 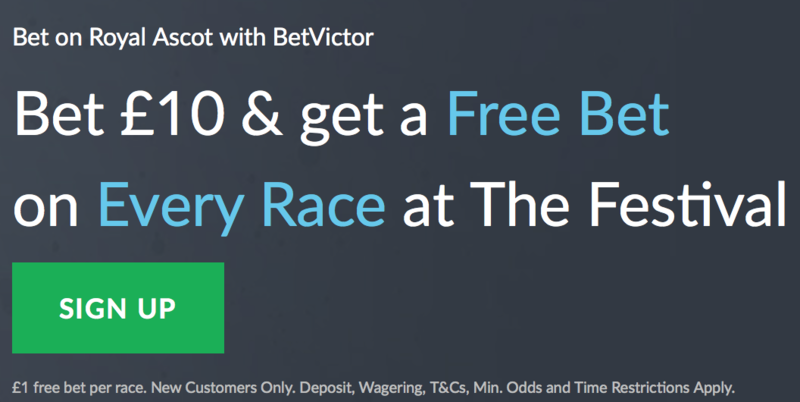 Either way, whatever offer you decide upon there are FREE bets up for grabs from this up and coming bookie…. Royal Ascot. Quite simply, it’s one of the great traditions and highlights of the Flat season, with top class racing throughout the week matched only by the off-course spectacle. The weather looks set fair and we should have proper quick summer ground; non-runners should be minimal which helps for generous place terms. 2:30 – Queen Anne Stakes, 1m, Group 1. Whilst nothing will ever match Frankel’s coruscating performance in this race 5 years ago, we should be in for an opening treat as RIBCHESTER continues to go from strength to strength. Richard Fahey’s stable star was third in last year’s Guineas before taking the Jersey Stakes at this meeting, before finishing a close third in the Sussex Stakes, winning the Jacques Le Marois and then running Minding to within half a length on Champions Day. Kept in training as a 4yo, Ribchester was third in the Dubai Turf on his seasonal reappearance before taking the Lockinge in fine style. It’s hard to see Lightning Spear turning the tables based on their previous duels, whilst Mutakayyef comes here on a career high official rating. It’s double figures the rest of the field – one to watch in the market could be American Patriot for Todd Pletcher and Frankie Dettori. This is American Patriot’s first visit to England and whilst it’s hard to know how much value there is in his form, he could spring a shock. But a shock it would be, as for me it’s hard to imagine Ribchester getting beaten and I think he’ll kick off the thousands of accumulator bets in style. 3:05 – Coventry Stakes, 6f, Group 2. Our first glimpse at the Royal meeting of the early season 2yos, and it’s normally a race to savour, won in the past by the likes of Caravaggio, Dawn Approach, Canford Cliffs and Henrythenavigator. Brother Bear is the early favourite for the quite brilliant Jessica Harrington; there surely can’t be too many trainers who could win the Cheltenham Gold Cup and potentially a 2yo Group race at Royal Ascot in the same calendar year. Brother Bear’s form stacks up in his two victories so far, and he has also shown he can handle different types of ground. He travelled over on Saturday evening so should have plenty of time to settle in his first trip overseas. De Bruyne Horse took a huge leap forward following his debut 5th at Newmarket and continued that progress with a victory over the smart Cardsharp at Epsom on Oaks Day; he will surely go well again for Richard Hannon and Sean Levey. Arawak, like any of Wesley Ward’s 2yos who come over to Royal Ascot, will definitely be of interest; owned by Coolmore he will be primed for this *but* I can’t possibly tip it until we’ve at least seen him in the parade ring. One to keep an eye on in the betting, especially as John Velazquez comes over to take the ride. Denaar is unbeaten for Richard Hannon and Frankie Dettori and he has done everything asked of him to date, while MURILLO shrugged off his poor debut to win well at Tipperary; Ryan Moore takes the ride and given Aidan O’Brien’s record in this race, we’ll take a chance on this colt. Others at bigger prices I like are Zaman and AQABAH, both for Charlie Appleby and Godolphin. The latter in particular beat Cardsharp at Ascot in May on good to firm ground, before finishing 4th behind Brother Bear at The Curragh a fortnight later. That was on yielding to soft ground and I’m happy to give him an each way shout at a general 20/1. 3:40 – King’s Stand Stakes, 5f, Group 1. One for the fully-fledged speed freaks and we begin with two fillies in the shape of Lady Aurelia and Marsha. Lady Aurelia gave a quite jaw-dropping performance in last year’s Queen Mary, making all and still quickening clear at the finish. It’s probably fair to say she hasn’t quite hit those heights since, and against older horses she’ll need to be at the very top of her game to prevail here. MARSHA won last year’s Prix de l’Abbaye at Chantilly and defied a penalty in the Palace House Stakes at Newmarket on Guineas Day. With Washington DC (who runs here) finishing second on both those occasions, that form looks solid and she should be fine on this quick ground. GOLDREAMwon this in 2015 from Medicean Man and Muthmir (both of whom reoppose today) and his prep has been broadly similar to two years ago – off since the autumn before a seasonal reappearance in the Palace House and then taking in the Temple Stakes at Haydock. I’m hopeful that can get him in prime condition for this. Signs Of Blessing is an obvious danger – but there is a chance the 5f on quick ground could prove too stiff a test for him. Clive Cox is dual-handed with last year’s winner Profitable and Temple Stakes winner Priceless. 4:20 – St James’s Palace Stakes, 1m, Group 1. This race for the Classic generation looks to be a rematch between the 2000 Guineas first and second in Churchill and Barney Roy. Churchill followed up his tactical victory in the English Guineas with a facile success in the Irish equivalent, beating the reopposing Thunder Snow by two-and-a-half lengths. The way Churchill improved at Leopardstown suggests there could still be more to come, whereas Barney Roy was undone by the tactical brilliance of the Ballydoyle troops at Newmarket; he has been rested since and certainly has the ability to go one better here. Churchill has raced 8 times, winning his last 7, including in the Chesham Stakes at last year’s Royal meeting. Barney Roy, on the other hand, has only been seen 3 times and remains relatively unexposed. I’m very much torn between the two, but will likely put Churchill in various multiples and have a saver on Barney Roy on the day. If Rivet settles better he could go better than his big price suggests, and Lancaster Bomber has now been beaten by Churchill no fewer than five times – it would be a major surprise if he turned the tables here. 5:00 – Ascot Stakes, 2m4f, Class 2 Handicap. This marathon race which is longer than plenty of Cheltenham races has been dominated in recent years by National Hunt trainers, and they’re once again mob handed here. Thomas Hobson leads the charge for those perennial Cheltenham winners Willie Mullins and Rich Ricci, only this time it’s Ryan Moore in the saddle rather than Ruby Walsh. In spite of his obvious appeal, I think the quick ground and the fact he hasn’t run on the Flat since 2013 pose enough question marks, but it wouldn’t be the first time I’ve got a Mullins runner wrong. Who Dares Wins was a fine third in the Coral Cup at Cheltenham before seamlessly transferring that solid form to the Flat in the Chester Cup when he finished 4th – the extra couple of furlongs in this race could play into Tom Marquand’s hands. However, it’s Alan King’s apparent second string OCEANE who looks the value. He was third over 20.5 furlongs at Goodwood last year, and won at York’s Ebor meeting the following month – both runs were on good to firm, as was his excellent effort in his prep race last month when he carried top weight to second. At a double figure price he’s worth an each way play. Beyond Conceit is an intriguing runner for Nicky Henderson – this son of Galileo was previously trained by Andrew Balding, but then had 3 years off the track before emerging over hurdles to record form figures of 1162 since returning in January. Stamina should be no problem and he has raced on good to firm before with no noticeable drop in form. Magic Circle is sure to be given a peach of a ride by the red-hot Silvestre De Sousa; however all bar one of his career victories have come with “soft” in the ground description. One of the more unexposed types in the field isENDLESS ACRES – he’s only raced 7 times in his career and 4 of those, including his last 3, have been on the all-weather. If he handles the turf track for Charlie Fellowes and Stevie Donohoe then he could be on a fair mark. 5:35 – Windsor Castle Stakes, 5f, Listed. This race for those 2yos who either aren’t quite top class yet or might not expected to be top class, it tends to be a competitive affair. Declarationofpeace is the favourite for Aidan O’Brien and Ryan Moore, having won on his second start at Dundalk at prohibitive odds of 1/4. I certainly wouldn’t put you off backing him given the connections, but Charlie Appleby has a pair of runners at much bigger prices and if one of them builds on the abundant promise they’ve shown then it could pay to back both each way. They are ROUSSEL, who won at Leicester last month when favourite, and SOUND AND SILENCE who looked very good at Newmarket on debut before not living up to that in a Listed event at Sandown. You can always forgive a 2yo a difficult second start, and interestingly William Buick has chosen Sound And Silence over Roussel in spite of having ridden both. James Doyle is a top class replacement on Roussel and both should run big races at big prices. Wesley Ward runs a pair of fillies in Nootka Sound and Elizabeth Darcy – both should be taken very seriously indeed. Another Batt, Dragons Tail, Marchingontogether, Dahik, June Dog, Declarationoflove and Magnus all come here off the back of victories, and in a field of 24 young ‘uns we need to hope for our charges settling early and getting a clear passage.